Prof. Dr. Muhammad Younus Rana is a renowned poultry and livestock researcher and principal of the College of Veterinary and Animal Sciences, Jhang—a campus of the University of Veterinary and Animal Sciences, Lahore, in Pakistan. He has implemented agricultural and organizational restructuring and livestock training programs, in addition to broadening the understanding of veterinary pathology in Pakistan and throughout the world. In 2006, Younus began his master’s degree in pathology at the College of Veterinary Science in Lahore, Pakistan, where he researched the pathology and hematology of broiler chickens experimentally infected with Salmonella Gallinarium. Younus then created an improved diagnostic method, preventing economic loss due to the disease. Younus continued his research as a Ph.D. student, studying data from Lahore-area hospitals for his thesis, where he found that poultry could transfer Salmonella to humans causing typhoid fever and food poisoning. In 2007 and 2008, Younus was a postdoctoral fellow at the University of Minnesota’s College of Veterinary Medicine where he researched the transmission of bovine tuberculosis from cattle to humans. Upon his return to Pakistan, Younus was selected by the University of Veterinary and Animal Sciences, Lahore, as a faculty member and served as chairman of the Department of Pathology, UVAS-Lahore. 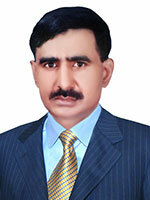 In 2010 Dr. Younus was selected as professor/principal to develop a second campus in the rural area of Jhang city. He took on the $7.5 million project, overseeing its financial, administrative, academic, and physical development and developed the institution in a shortest period in the history Pakistan. Younus has since been recognized for his outstanding leadership in launching the new campus, which is a glittering star of the nation, country, and profession, by the Vice Chancellor, the Pakistani Veterinary Medical Council, and the Planning and Development Department of the Government of the Punjab-Pakistan. Now as principal of the College, Younus oversees DVM, M.Phil, and Ph.D students in addition to discussing his work at conferences and contributing to academic journals. Younus has contributed to more than 130 publications and authored 10 books, and won many national awards by the Government of Pakistan on his agricultural, livestock research findings, and outstanding performance.